I was fortunate enough to be invited to the Games For Learning Summit on April 21st at NYU. 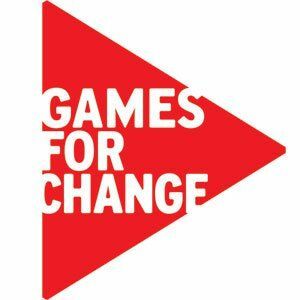 The Summit, hosted by the U.S. Department of Education and the non-profit Games for Change, was a … day-long summit to identify strategies for the broader creation, dissemination, and use of quality games in classrooms and beyond. Leading developers, producers, publishers, educators, students, and other stakeholders [were] brought together to break down barriers and have meaningful dialogues about what each party wants and needs so we can make progress in games for education together. The Games for Learning Summit was awesome. It was a great day of dialogueing and collaborating especially for someone like me who believes that games are a big part of education’s future. By 2030, I believe games in education will be everywhere and used in three distinct ways: games will be played to help teach and assess students, students will create their own games (think coding and STEM) with a focus on solving important problems, and students will actually be the games. That last part, students being the games, will be the most transformative of them all. What I’m talking about when I say students being the game are Alternate Reality Games (ARGs). In an ARG, the game happens in the real world, in real time, with real people. I’ve run 4 ARGs in the classroom. The last ARG I ran was extra special, and I’m finally allowed to talk about it! This last ARG went global and my students and I were lucky to have survived. Behold: Scorch! Last October, my Public Speaking class and I teamed up with Pearson and classes around the world to play Scorch. In this six week experiment, students across the globe, acting as important corporations and agencies, had to work together to stop a global pandemic. There was a government strand responsible for making decisions about the pandemic, a Biology strand responsible for trying to stop the pandemic, a business strand responsible for the economy during the pandemic, and a communication strand, my class, who played the role of a news company and had to report on the pandemic and the activities of the other strands. Everyday, students received pieces of transmedia storytelling as part of a networked narrative that told them about the pandemic that was ravaging their world. Each week the transmedia storytelling would reflect students actions or inactions as part of the story. My students produced a weekly news show that helped keep the other strands informed. It was a living, breathing story that was taking place in the real world and my students were the main characters, not some pixels on the screen. The strands interacted daily and the decisions they made impacted the others; every action (or inaction) caused a reaction. For instance, when the government strand imposed a curfew and quarantine on its citizens, my students, as the news organization, criticized the government for curtailing civil liberties which nearly incited a riot. Another time, when the Biology strand asked the government strand to hand out the vaccine to the most vulnerable citizens, elderly and children, first, rather than the lottery the government was thinking about holding, my students came out in support of the biology strand which we believed played a part in the eventual adoption of children and elderly first distribution process. My students also had to decide what pieces of transmedia to report on. Reporting on the Presidential address was easy, but my students had a hard time deciding whether to put the conspiracy nut, who claimed the pandemic was a false flag operation by the U.S., on the news or to focus on the former Surgeon General’s warning that countries need to take the fledgling pandemic more seriously. While it wasn’t my class, I heard the business strand had quite a battle over the ethics of price gouging on things like Tamiflu, water, and gasoline during the pandemic. The future is in experientials; people want experiences. Students, who are in fact people, are no different. With Scorch, and all the ARGs I’ve run, my kids were active in the story, were given voice and choice that made a difference, the learning was authentic, and the engagement was unbelievable. I see a future where we teach not with subjects or even topics (I see you, Finland), but through experiences. ARGs provide amazing experiences. In the future, students will be placed in an experience, role play the experience out, and then reflect and dissect how it went and what they can do better next time. Soft skills like collaboration, curation, leadership, and creativity will become the focus of schools and the subjects we teach now will be learned tangentially to these soft skills because in 2030 we will have finally realized that any job you get is going to teach you to do it their way anyway. ARGs and the learning experiences they provide are just the thing we need to reengage our students and prepare them with the skills they need for the future. …Or I could be totally wrong. TLDR: Dungeons & Dragons, bro.